GRAND RAPIDS TOWNSHIP, Mich. (WOOD) — A celebration of First Lady Betty Ford’s centennial birthday brought out big names and big crowds to Frederik Meijer Gardens & Sculpture Park near Grand Rapids Wednesday. Former First Lady, U.S. Sen., Secretary of State and Democratic nominee for president Hillary Clinton was among the people who joined in praise of Ford. The celebration was also a testimony the positions Ford took, which many see as groundbreaking. “In my opinion, (Ford) was one of the most transformational Americans in the last half of the 20th century. 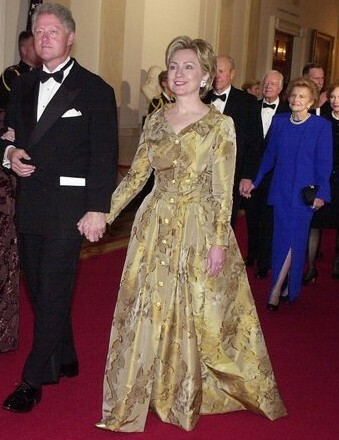 I didn’t say first ladies, I said Americans,” Clinton said. GRAND RAPIDS, MI — Former first lady, secretary of state and 2016 presidential candidate Hillary Clinton brought a message of cooperation to Michigan this week. 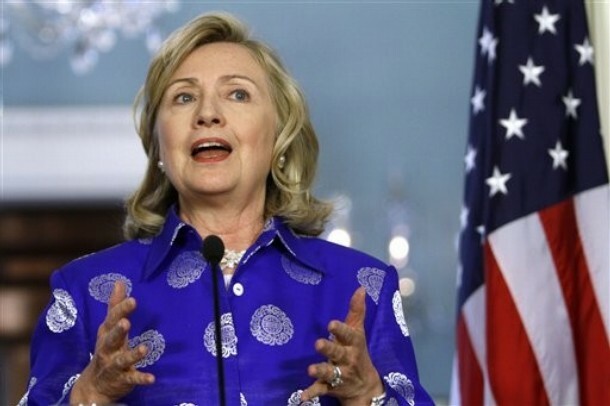 Talking about a recent conversation with Mike Pompeo, President Donald Trump’s nominee to replace Rex Tillerson as secretary of state, Clinton said she was happy to talk to Pompeo despite the fact he once, as a congressman, called her “morally reprehensible” in connection with the deadly 2012 attacks in Benghazi, Libya. Clinton was a featured guest for a special event honoring the legacy of first lady Betty Ford held at Frederick Meijer Gardens Wednesday, April 11.
the Gerald R. Ford Presidential Foundation. The guests will be participating in a discussion moderated by journalist Andrea Mitchell. GRAND RAPIDS, MICH. – Hillary Clinton, the Democratic Party’s nominee for President in the 2016 election, will be in West Michigan in April. This year is Ford’s 100th birthday year, and for the celebration Clinton; and Lynda Bird Johnson Robb, daughter of President Lyndon Baines Johnson, will be featured guests. 8:20 a.m. Secretary Clinton and Brazilian Foreign Minister Antonio Patriota deliver remarks at the Open Government Partnership High-Level Meeting, at the Department of State. 9:30 a.m. Secretary Clinton delivers remarks to the 2011 U.S. Global Leadership Coalition (USGLC) Conference, at the Grant Hyatt Hotel in Washington, DC. 5:00 p.m. ET / 2:00 p.m. LOCAL Secretary Clinton attends a celebration of the life of former First Lady Betty Ford, in Palm Desert, California. 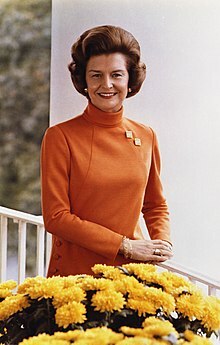 We are deeply saddened by the passing of First Lady Betty Ford. As a staunch advocate for women’s and equal rights, Betty paved the way for generations of women to follow. Her courage, compassion, and commitment to helping our nation deal with drug and alcohol abuse and addiction helped thousands of people to a successful recovery and in the process she helped to save countless families. We were honored to host President and Mrs. Ford at the White House in 1998 when they received the Congressional Gold Medal for their dedication and service to our nation. Betty was a remarkable woman whose legacy will live on in people around the country whose lives are longer and better because of her work. Our thoughts and prayers are with her children and grandchildren. We are grateful for her contributions, and for her kindness to us. We will miss her. Rest in peace dear former FLOTUS! You contributed so much and helped so many. We love you and will miss your fighting spirit. Condolences to the Ford family. Elizabeth Ann Bloomer Warren Ford (April 8, 1918 – July 8, 2011).